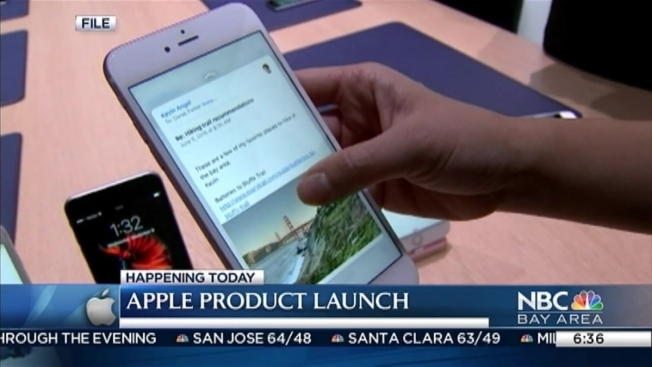 Apple fanatics are bracing for the company’s latest announcement, set to take place Monday at 10 a.m in Cupertino. As per usual, the details of the unveiling have been kept hush-hush, but many industry insiders have made educated guesses as to what Apple CEO Tim Cook will be announcing. “The expectations are there will be an iPad heir, new bands for the iPhone watch and a lower cost phone,” industry analyst Rob Enderle said. The lower cost phone is expected to cost about $300. Other rumors include an updated 4-inch iPhone that could encourage 5s users to upgrade. However, that would buck the trend towards bigger smartphones – a trend Apple has spearheaded with its 6s Plus. Apple co-founder Steve Wozniak, who appeared at San Jose’s Comic Con this weekend, said the company is still taking risks and thinking big. Although it’s highly unlikely that Apple will be unveiling a driverless car tomorrow, the big announcement is still something to look forward to for many Apple fans, many of whom are hoping for improvements to current devices.